Cobb & Douglas Public Health wants you to have a safe Independence Day and urges families to attend public fireworks displays rather than set off fireworks at home. Always keep a bucket of water or a garden hose handy in case of fire or mishap. Sparklers are the largest culprit of fireworks-related injuries. Always closely supervise children when fireworks are being used. Never carry fireworks in a pocket or shoot them from a metal or glass container. 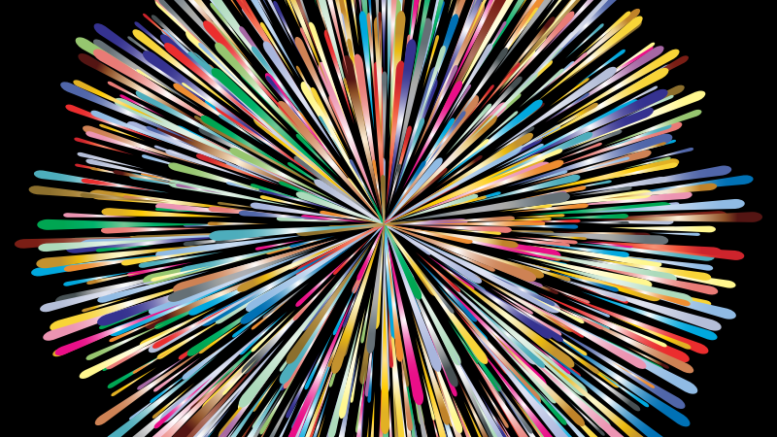 Light fireworks one at a time, then move back from them quickly. In 2013, fireworks caused an estimated 15,600 reported fires in the U.S., including 1,400 structure fires, 200 vehicle fires, and 14,000 outside and other fires. More than one-quarter (28%) of fires started by fireworks in 2009-2013 were reported on Independence Day. Almost half (47%) of the reported fires on the Fourth of July were started by fireworks. According to the CPSC, more than one-third (35%) of the people seen in emergency rooms for fireworks injuries from June 20-July 20, 2014 were under 15; nine percent were under five. 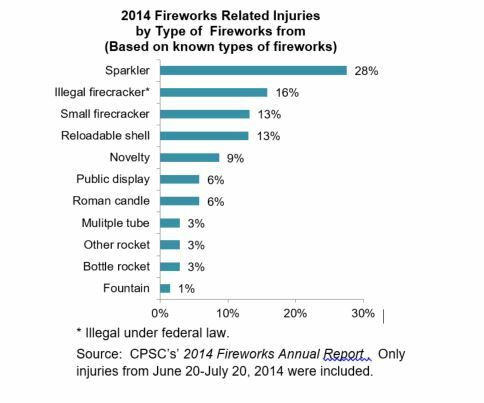 CPSC data show that sparklers alone accounted for more than one one-quarter (28%) of the emergency room fireworks injuries seen from June 20-July 20, 2014. Be the first to comment on "Cobb & Douglas Public Health says be careful with fireworks"